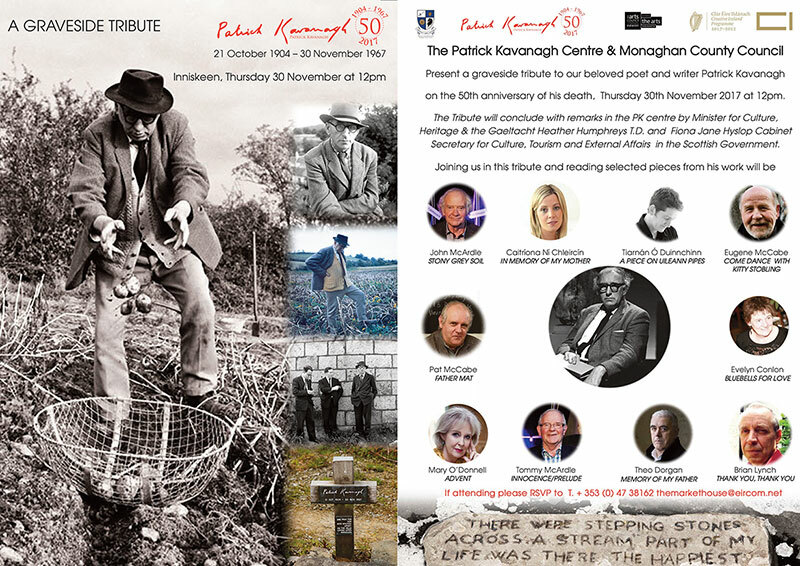 The Patrick Kavanagh Centre & Monaghan County Council present a graveside tribute to poet and writer Patrick Kavanagh featuring a number of well known poets and writers from across county Monaghan and beyond. 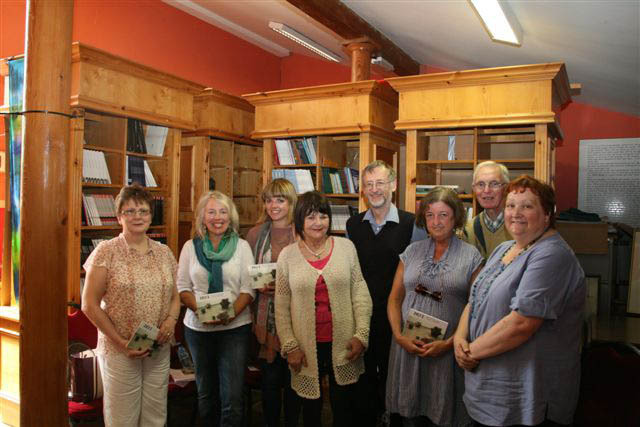 Patrick Kavanagh was born in County Monaghan in 1904. He died on 30th November 1967, and is buried at the former St. Mary’s Church graveyard at Inniskeen, now home to the Patrick Kavanagh Resource Centre. To mark the 50th anniversary of his death, at noon on Thursday November 30th, a cast of Ireland’s finest living writers and poets will gather at his graveside to deliver a spine-tingling recital of ten of Kavanagh’s best-loved works. Hope see you all tomorrow.